We do a lot of thinking here at Neustar about maintaining and innovating on our market-leading omnichannel identity, about defining and targeting audiences and measuring everything that matters for marketers. We do this to make sure that our clients will always have cutting edge capabilities that enable them to know their customers, provide the most impactful (marketing) experiences for them, and measure and optimize those journeys. Our biggest learning after many years of doing this hard work with our clients is that it’s not just about having the right data, math and technology, it’s about enabling an organization to embrace and integrate these data and analytics capabilities. At least, that’s what we thought and how we’ve designed our solution deployments and built a world class Customer Success team to help our clients achieve real returns on their investments. But this was our anecdotal learning based on the clients we worked with. So imagine how stoked and gratified we were to get quantifiable evidence that not only does having an analytics-mastering culture matter but that marketers with an advanced analytics culture generate multiples when it comes to financial performance compared to those just starting out. Multiples. We are excited to release the findings of our study with Forrester in partnership with the ANA – via the Neustar-powered Data Analytics Center (DAC) – that validates our Marketing Solutions and how we support and service our clients’ to successfully integrate them. In addition to quantifying the performance benefits of an advanced analytics culture – 1.7x ROI, 1.5x revenue, 2.8x marketing decision speed, 1.9x marketing process efficiency – you can also assess your organization’s analytic maturity and find clear and practical recommendations about how to improve your analytics culture, no matter how advanced you are. Get the study to find out more! 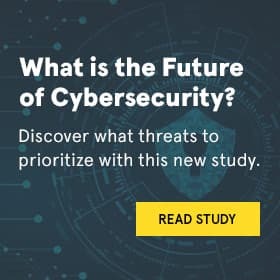 What Are the Latest Trends in Cybersecurity?